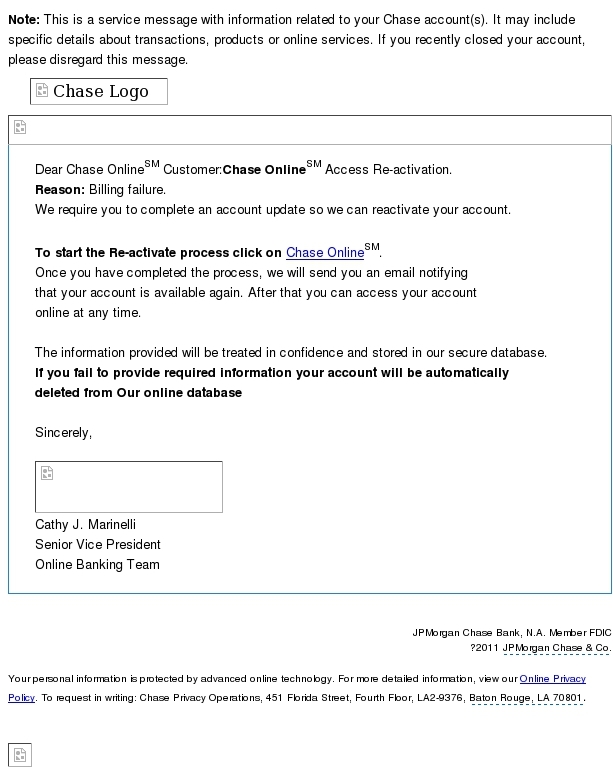 information related to your Chase account(s). account, please disregard this message. so we can reactivate your account.